The Broons Graderoll Mono grader-mounted roller. 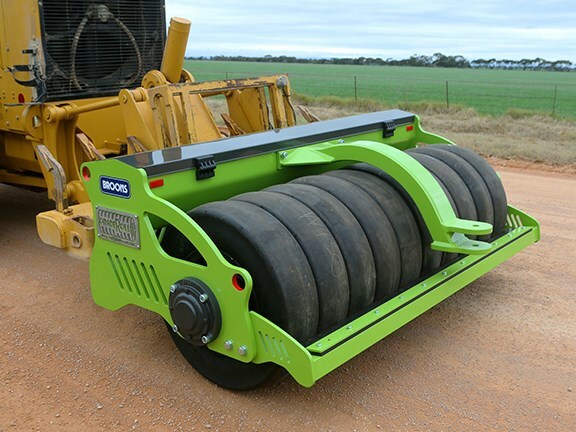 Broons has produced the Graderoll Mono — a roller consisting of a single row of 10 compactor tyres that can be attached directly to the rippers on the back of a grader and is designed for compaction during maintenance grading. "The concept is well-proven in the market so we've not reinvented the wheel, so to speak," Broons Director Stuart Bowes says, "but it’s taken Broons to add a stylish new look which takes it to a new level." 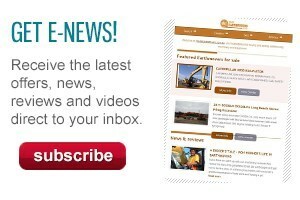 Bowes says that, while the South Australia-based company’s double-row Handy Hitch grader-mounted roller is doing well in the market, they found there's still a client base which prefers a single row of rubber tyres. "We've gone out of our way to look at existing concepts and see where we can do it better," Bowes says. "We use a much thicker mounting plate on our Graderoll which eliminates structural failures seen on alternative machines. In addition we've totally eliminated daily maintenance by removing all grease points and using maintenance-free components. "Minimising risk is a major factor in machine design these days and if we can minimise the need for staff to be working on the machine then this is a huge benefit. 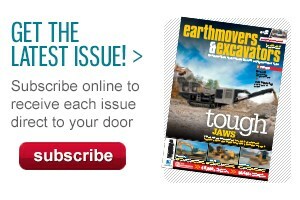 We can do this easily by eliminating the need for routine daily maintenance." Additional selling points of the Graderoll Mono are that it is easy to use by a single operator and, because of its short length, it is easily manoeuvred around narrow rural roads. In keeping with the new naming convention, Broons now calls the Handy Hitch the Graderoll Duo. 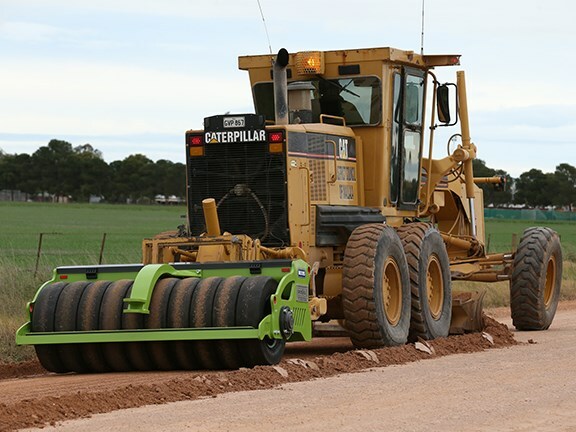 This model features an independent walking beam system that allows the compactor tyres to follow the exact contour of the road. This, the company says, maintains constant pressure by the tyres on the road and leaves a smooth, uniform surface. 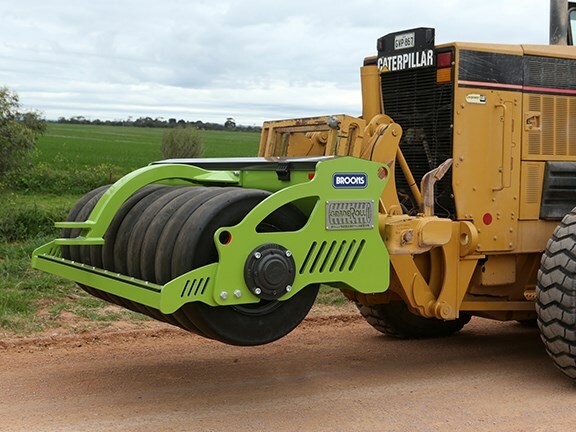 Broons also makes the eCombi roller, which compacts freshly graded surfaces with a centrally mounted steel roll drum or a single rear row of nine smooth tread compactor tyres.